Question number one: Could you tell a lie without feeling guilt? But as the questions grow more and more intense and invasive and the sessions become outings where Jess is told what to wear and how to act, she begins to feel as though Dr. Shields may know what she’s thinking...and what she’s hiding. Question number two: Have you ever deeply hurt someone you care about? 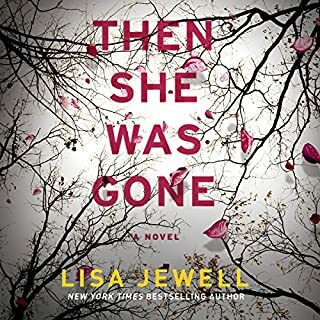 As Jess’ paranoia grows, it becomes clear she can no longer trust what in her life is real and what is one of Dr. Shields’ manipulative experiments. Caught in a web of deceit and jealousy, Jess quickly learns some obsessions can be deadly. Question number three: Should a punishment always fit the crime? It’s hard to write a review for this book that doesn’t give things away. I started the book early in the morning intending to listen for a few hours while doing things around the house. It is now almost 10:00 pm and the things I planned to do are on tomorrow’s agenda. This was a rare time when I was so caught up in the story that nothing was really done. It was like I was sitting with coffee listening to a friend recount a horrifying time in her life. You listen transfixed. You think about what you are being told. You wonder how you would have answered the questions. You wonder about choices. You wonder about trust. You wonder about confidentiality. You go back to wondering about trust. This was the most mesmerizing book I have listened to in a while. I would say be careful reading reviews. This is a book best going into knowing as little as possible, in my opinion. Narration is annoying and writing sophomoric. I loved their first book, The Wife Between Us, but this one was annoying from go. I believe it was the narration of the psychiatrist that made me cringe. It was read with this weird intonation that I couldn't overlook. I also found the writing of this book to be simplistic and with little depth. I gave up early on. Is it morally wrong to write a bad review? 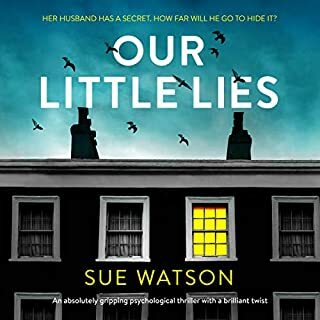 REVIEW: I had high hopes for this book and pre-ordered the audible because I enjoyed The Wife Between Us. Reading the premise I thought it would be even better than Greer & Sarah's first novel because it seemed interesting. It started slow and I kept hoping it would pick up or have more to it but it never really did. It seems like the authors had great intentions to make you really think about morals and not to judge the choices of others however the book was lacking and seemed shallow. The story was not believable and didn't really pull me in. I can normally listen to audible books all the way through on my road trips but this was was so hard to keep listening to. I kept thinking something interesting was going to happen or something where you could relate to the character's dilemmas but it just wasn't there since I think the main character could have easily removed herself from her situation. CHARACTERS: None of the characters were very likable which made it difficult and their actions were not believable, it seemed like the main character could have easily avoided all of the bad situations she finds herself in so it's more annoying than anything. STORY: The main character needs money so she agrees to be a part of a study about morality. 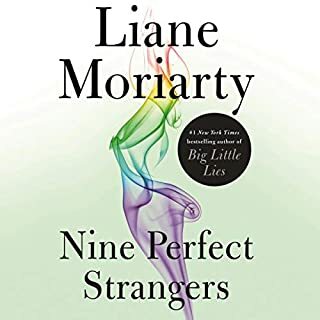 She has an odd feeling but freely gives more information about herself than she should to a complete stranger and keeps going with the study which turns out to be not what she expected but again she keeps going because she "needs the money to help her family". Basically I believe the main character chooses money over her safety and moral choices but justifies it by saying she needs the money to help her family even though she could do other things to earn money in better ways. The back stories of the characters seem a bit sloppy and rushed and try to help you understand them but doesn't do a great job of pulling you in and understanding the characters. PERFORMANCE: I enjoy Julia Whelan's performances in the books she's narrated although this book was a bit dull but she did well. Barrie Kreinik's performance was harder to listen to and really made you dislike the sections she read. 4 stars for Julia 1 star for Barrie. 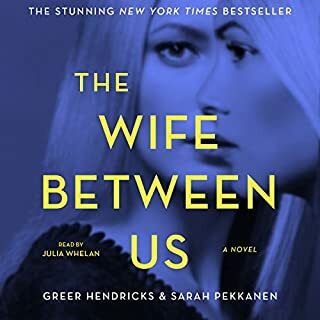 RECOMMENDATIONS TO LISTEN TO INSTEAD: If you are looking for a suspenseful novel that will capture your attention the entire way through and still want to give the authors a chance I'd suggest listening to The Wife Between Us which is much better. 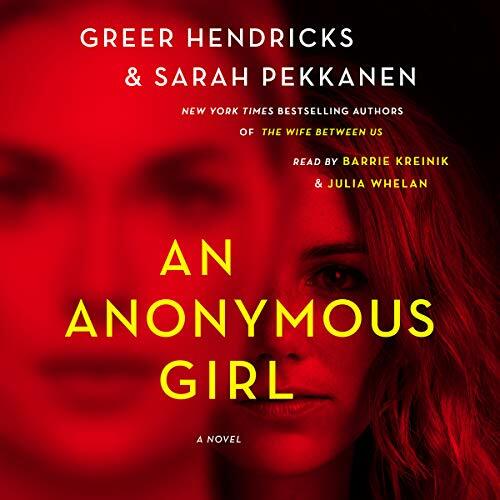 Or you can check out You or Hidden Bodies by Caroline Kepnes which are both superb Audible options especially because the narrator is excellent. The narrators were the best part of this book. I enjoyed this book right up to the end. No spoilers intended, but if you're looking for a reasonable ending (good or bad) this is not the book. The characters were built up to behave a certain way and then at the very end of the book, they just changed course. I love plot twists but this was not a plot twist. It was all just too easy for the book to end suddenly and irrationally. I really enjoyed The Wife Between Us and this book seemed to be going along well and then, BAM, it fell apart. I want my 11 hours and 40 minutes back! I preordered this book. The girl who plays Jessica was a pleasure to listen to, the other girl wasn’t terrible. The story dragged on entirely too long and I didn’t find it to have any kind of twists. It sounded good but wasn’t worth the time. I finished it because I just wanted to know the ending but feel like I could’ve skipped 75% of it to get there, and overall was let down by the way it ended. The beginning grabs you and that’s the only good part about this book . Boring, dragging and eventually did not live up to the big “twists” others had mentioned. Loser characters, loser book. Highly Recommend for Suspense Lovers! 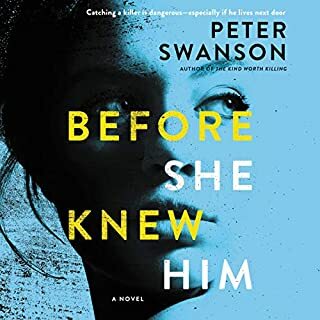 If you enjoy twists and turns and suspense that leaves you feeling a little creeped out, I would highly recommend this book! Immediately I was hooked and pretty much only put it away when I was too busy or sleeping. A day later now that I’m done, I’m left mostly satisfied yet looking over my shoulder in case I fall prey to danger. The story might be a little exaggerated but I think it’s done perfectly enough to give you pause about what may happen next. Definitely give it a read! Psychological suspense is one of my favorite genres, and The Wife between Us is one of my favorite books. Unfortunately, I found the characters in An Anonymous Girl to be rather flat, and the plot seemed to involve many repetitions of the same basic scenario. Jessica's continued obedience to Dr. Shield's demands made little sense to me. And Dr. Shield's lengthy internal rants became tiresome. It also bothered me that the authors (and their editor) did not seem to know the difference between a psychiatrist and a psychologist. It is extremely unlikely that a psychiatrist (as Dr. Shieds was reported to be) would be conducting psychological studies in the psychology department at NYU. I was really looking forward to this book and got it as soon as it came out. Well, after listening for about 5-6 hours it just never got going. Nothing happened and I was so bored that i gave up and deleted from library. I listen to a lot of books and can be patient but ugh! this gave me nothing to hang on to. 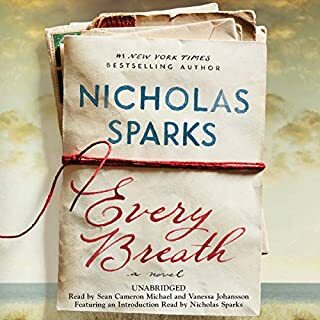 Probably the worst book I’ve listened to on audible. Not interesting....the storyline could have been good...maybe. I really don’t know how to describe how a book I was looking forward to reading became so quickly a disappoint. I was so bored that rather than sinking into the story I found myself daydreaming or planning my day. Not for me.